As of yesterday evening, the exhibition on the development of superior design at Gorenje is open at the Velenje Gallery. 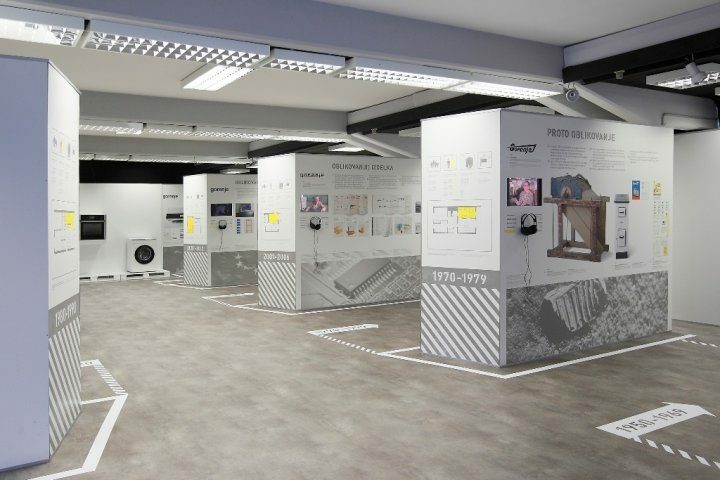 The exhibition "Gorenje with a Vision" is a result of cooperation between Gorenje and the Velenje Gallery, and it is a part of the "Wow, Industry" network project by the public institute Maribor 2012 – European Capital of Culture. The exhibition will be open until September 22. Gorenje embarked on the journey of professional development in 1963, only five years after the launch of home appliance production and concurrently with the commencement of the company's export activities. At that time, awareness was built up that success in foreign markets with international competition requires well thought-out product design. To this day, Gorenje's design passed through three stages of development that are presented clearly at the exhibition. The first stage involves product design when Gorenje was above all following the trends; in the second stage, roughly coinciding with the nineteen nineties, Gorenje was focused on designing the function and challenging the trends; in the last stage, Gorenje is designing the user experience, effectively becoming a trendsetter with the (smart) appliances. Gorenje President and CEO Mr. Franjo Bobinac commented during the opening ceremony yesterday evening: "Design and innovation have been a part of our corporate vision for years. If you do not have a vision, then all paths are good; but we know that not all paths are good. We know we have to be different, faster, more innovative than others and in our efforts to accomplish this, we are also betting on superior design." The exhibition "Gorenje with a Vision", the concept of which was developed by the curator Mrs. Barbara Predan, is a part of the network project »Wow, industry« by the institute Maribor 2012 – European Capital of Culture. The project combines six exhibitions which, although each one is independent and an event unto itself, share a common denominator in terms of contents as they all showcase the development of six manufacturing companies after the World War II. The exhibitions present enterprises from the capital of culture and partner cities and their environment. In addition to Gorenje, the presented companies include IMV ("Industry of Motor Vehicles") of Novo Mesto, Mura, Talum, Železarna (Ironworks) Ravne, and Tovarna Zlatorog, Maribor. General manager of the institute Maribor 2012 – European Capital of Culture Mrs. Suzana Žilič Fišer, who joined Mr. Bobinac in opening the exhibition, explained how Gorenje was included in the ECOC projects: "It was completely logical that Gorenje, a company that left a lasting mark in Slovenia as well as internationally, be a part of the largest European cultural project. We are happy to have linked business and arts in this way as well."